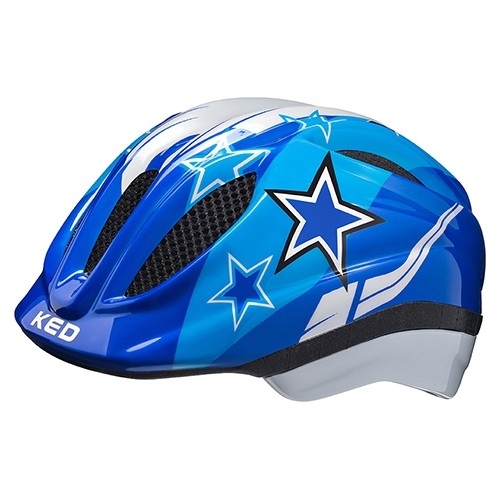 Product information "KED Meggy II Kids Helmet blue stars"
The top seller with pioneering technology, simple size adjustment and QUICKSAFE flashing lamps for children on the safest way to independent mobility on two wheels. With the maxSHELL® process the outer shell is irreversibly bonded to the EPS inner shell in a second working stage. The composite reacts is much more flexible under pressure than inmold helmets. The patented QUICKSAFE®-system provides easy and precise adjustment to each individual head shape and guarantees highest comfort and maximum safety. Using the patented QUICKSTOPP® system, the strap length is adjusted as required ans symmetrically locked in the centre of the helmet. Related links to "KED Meggy II Kids Helmet blue stars"
Customer evaluation for "KED Meggy II Kids Helmet blue stars"